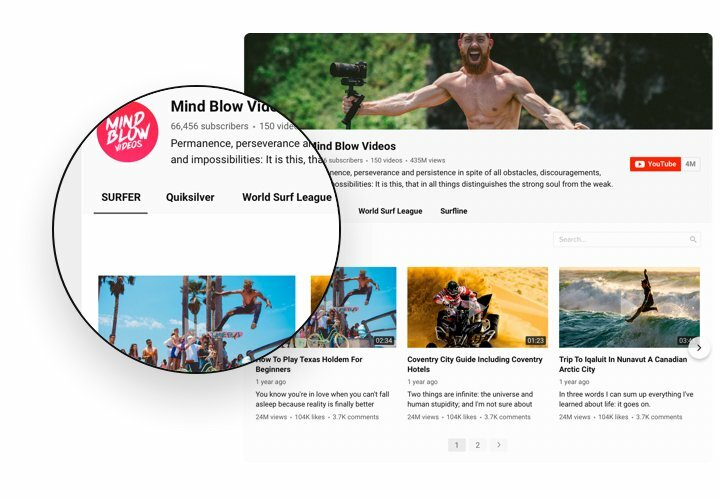 A powerful widget for YouTube, which helps to add a variety of videos on your website. Find business-related or entertaining channels and video clips to collect your perfect playlist. 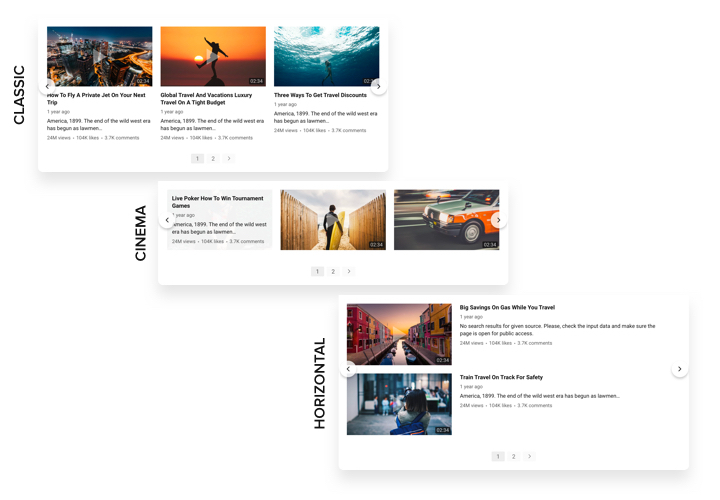 Show it right on the page using the most suitable layout (video gallery, portfolio, channel, single video). Elfsight widget is adaptive to all gadgets and browsers; it includes around 100 parameters, customizable template and many different qualities, which help to show it on every website.Generate an effective individual video gallery to entertain and attract clients. Have effective interaction with visitors of your site, using YouTube videos. 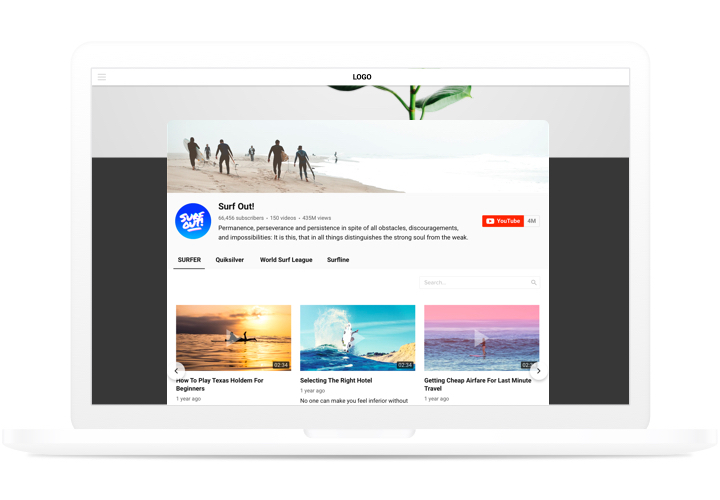 Amaze your site audience with fascinating videos from YouTube and make them stay engaged longer than ever. Let the right YouTube content help you promote your products. 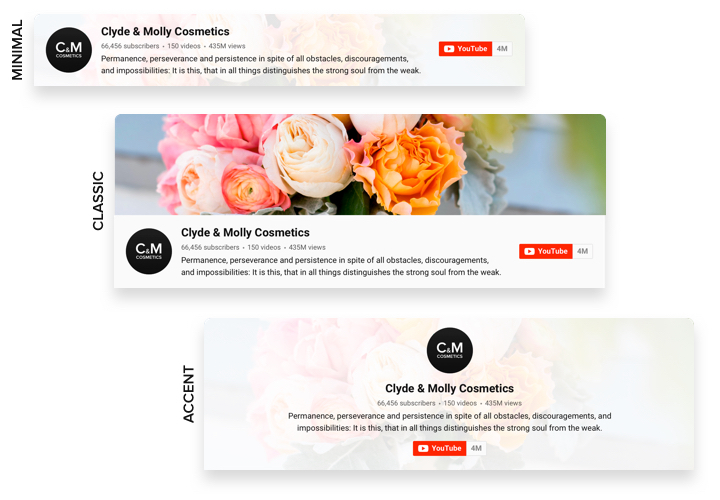 Enrich your website content with analytical videos, tutorials, overviews and more, to show users how attractive and popular your products are, and let them make one more step to purchase. Maximize the number of subscribers for your YouTube channel. Transform site visitors into your audience on YouTube. Show your clients an easy and fast way to watch your videos and become your subscribers. Thanks to these amazing characteristics, Elfsight widget is the best method to add YouTube videos on a OpenCart page. A concise instruction by Elfsight team on integration and customization of the widget, requiring no experience in development. Total installation duration is about 70 seconds. Find the extension and install it to the website. Choose the desired version of the widget and download its file. After that, install it to your website via «Extension Installer» in the control panel. Configure the extension. In «Extensions» section, adjust sorting by module, and find YouTube Video Gallery. Next, apply necessary parameters of the design and functions. Add the extension on the site. Choose the needed page, insert the extension code there, and save all the edits. You’re done! Go to OpenCart website, to check your extension! Experiencing any hardships with setting up or personalizing YouTube Gallery? 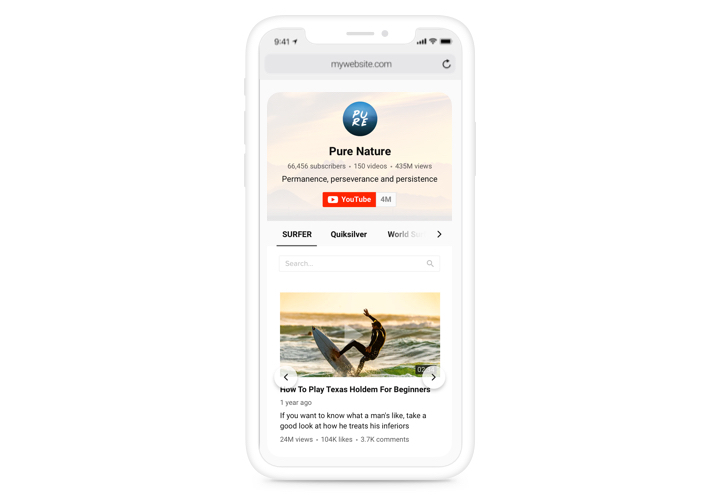 Read a detailed tutorial «How to display YouTube on OpenCart» and try it on your own one more time. Alternatively, contact Elfsight support team with a total explanation of the question. We are here to advice from 10 a.m. To 7 p.m. CET, Monday to Friday. 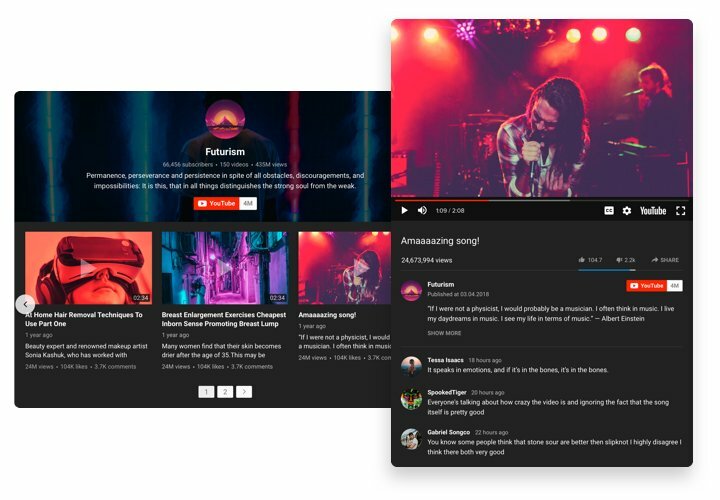 Design a fascinating OpenCart YouTube Gallery in only 2 minutes!